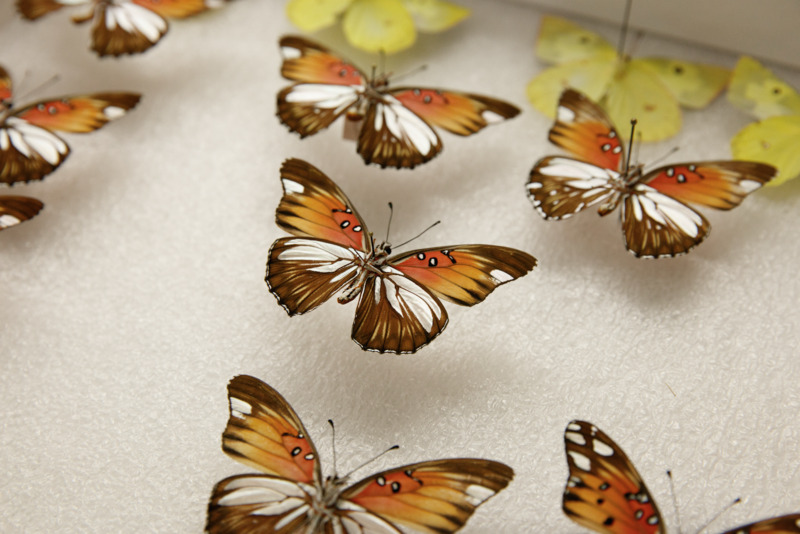 Arnaud Martin, assistant professor of biology, seeks to understand the evolutionary genetics that have shaped color pattern diversity on butterfly wings. There are more than 20,000 distinct species of butterflies in the world today, all distinguishable by the colors and patterns on the wing. 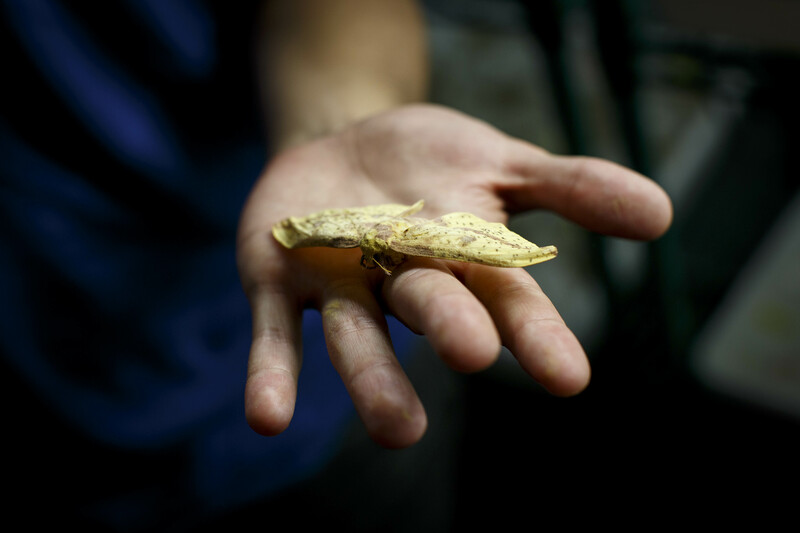 Unlocking what causes these differences could be the key to understanding biodiversity, said Arnaud Martin, an assistant professor of biology in the Columbian College of Arts and Sciences. 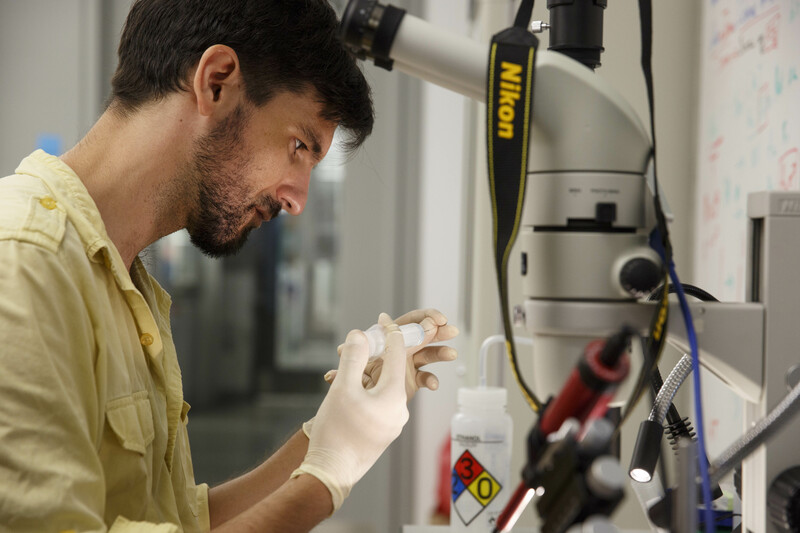 In his Science and Engineering Hall lab, Dr. Martin is using gene editing to study the patterns on butterfly wings. 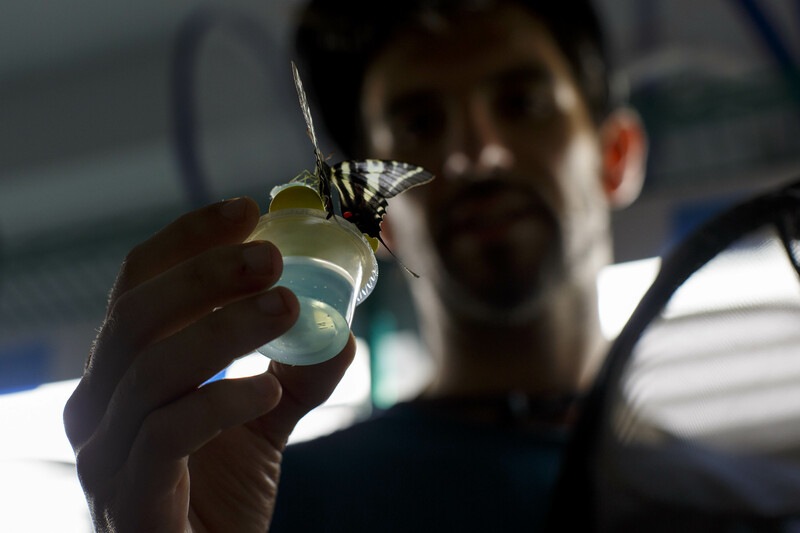 With CRISPR—a technology that can be used to cut DNA at any desired site in the genome— Dr. Martin can modify butterfly genes one by one and determine the function of genes in making shapes and forming colors. 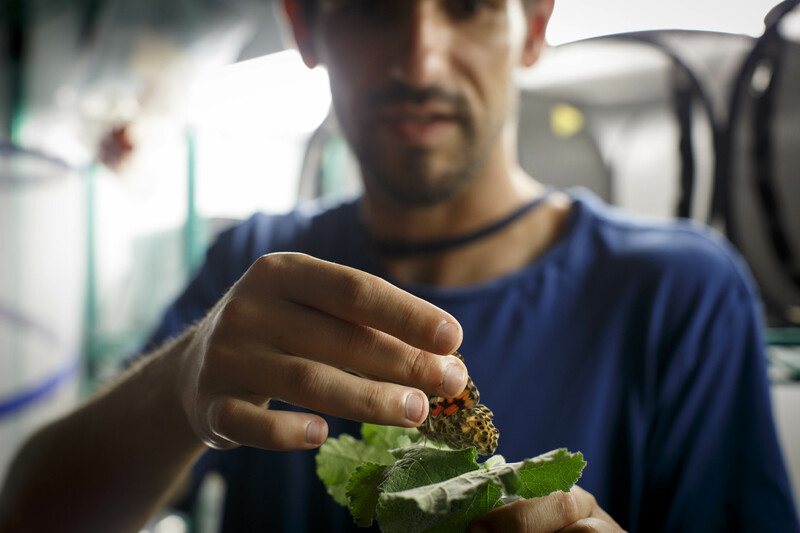 Dr. Martin looks after several colonies of butterflies and maintains them throughout their life cycle. 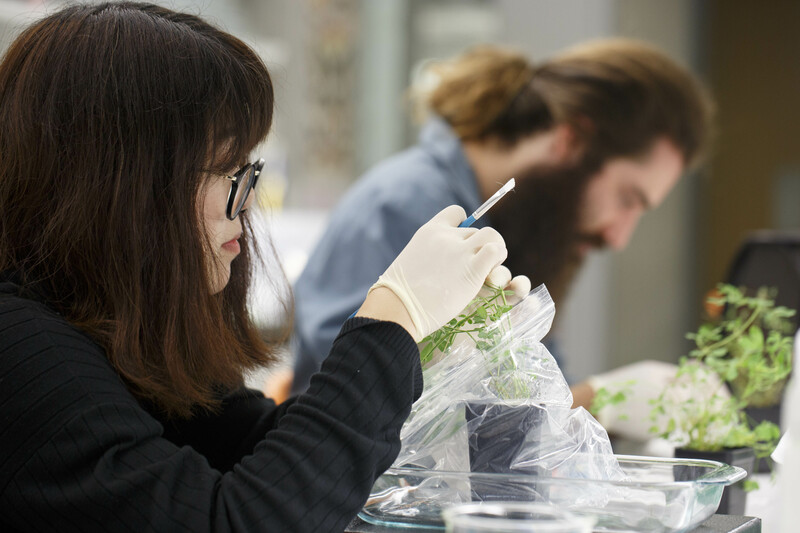 Researchers collect the eggs and use CRISPR gene editing technology to modify the genes one by one to determine their function in making shapes. 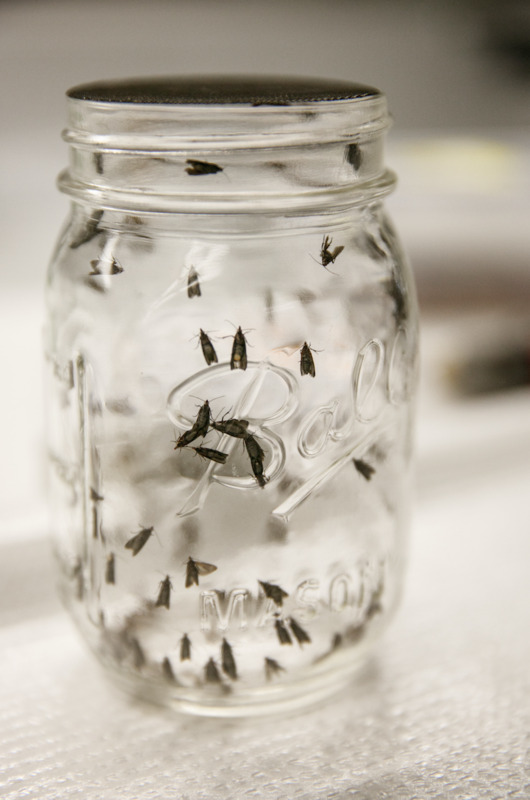 This process is is akin to taking a pair of scissors to a handful of embryo cells, removing a single gene in the entire genome, Dr. Martin said. 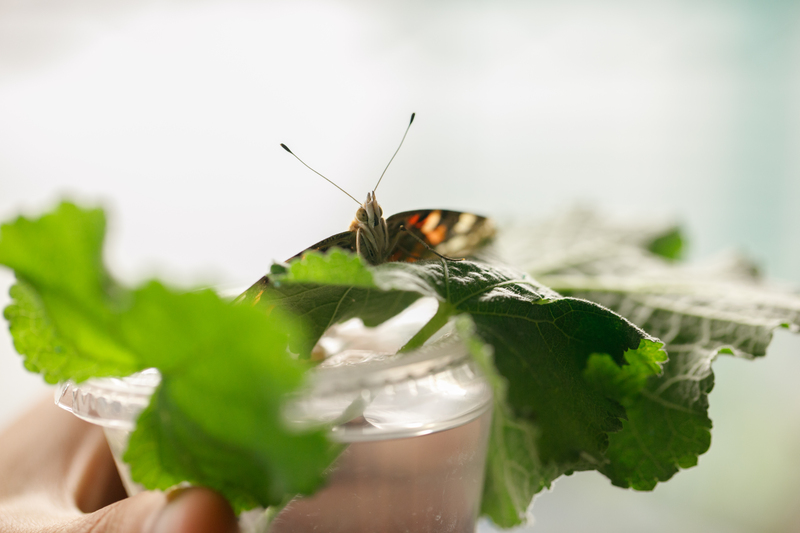 Dr. Martin’s work focuses on butterfly diversity, but this branch of genetic research has massive implications for studying all types of organisms— including humans. In a recent study, Dr. Martin looked at how WntA, identified as a hotspot gene for shaping the wing, could evolve to shape different genetic features in different species. 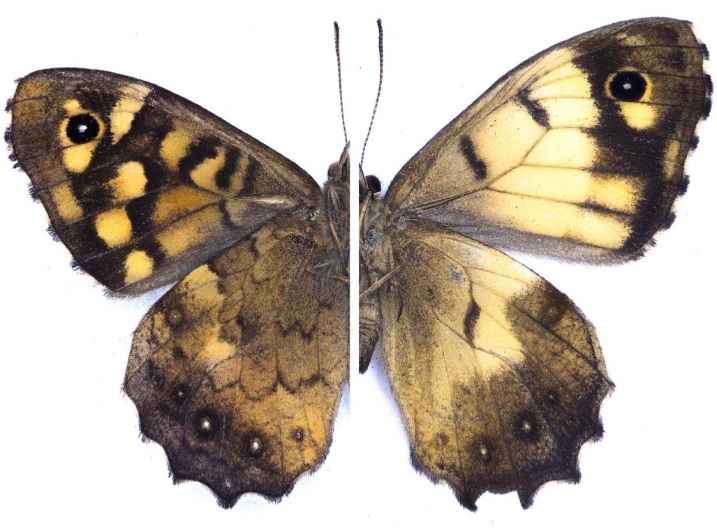 In collaboration with an international team of researchers, he identified WntA as a “painting gene” several years ago in one species of butterfly. 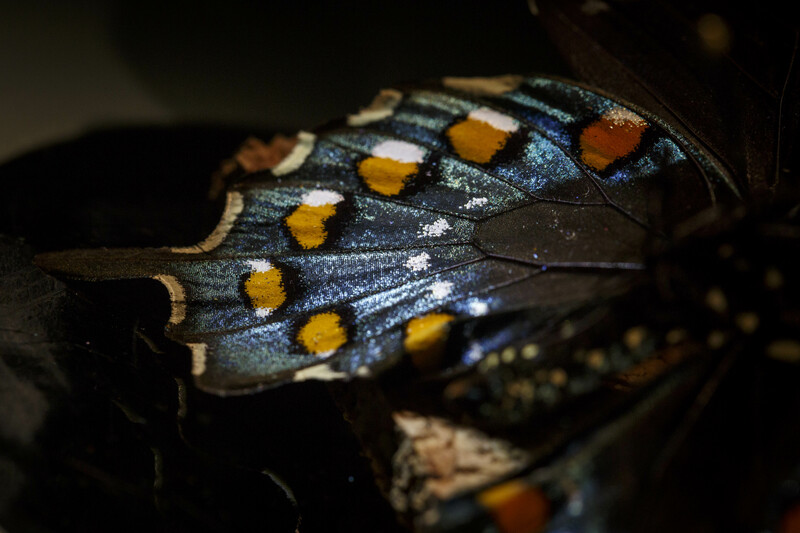 Researchers believed the gene was important for laying out the basic pattern organization of the wing, and decided to test this idea by removing the gene in seven butterfly species and seeing what happened. The results have been fascinating, Dr. Martin said. The wing patterns changed in significant ways with color changes and trademark patterns altered. 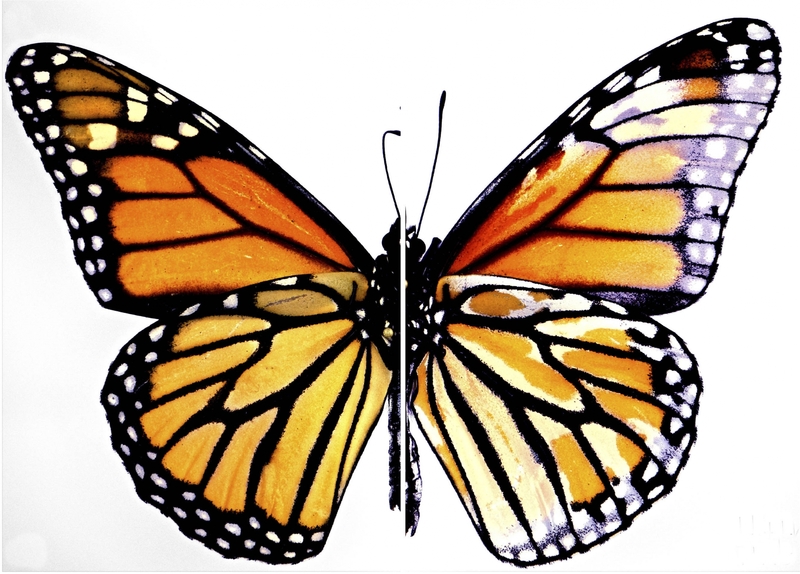 The left side of this Monarch butterfly show how a typical specimen would look in the wild. The right side shows the effects of CRISPR. During development a butterfly wing is like a canvas, Dr. Martin said. When a painter begins a new project they will often start with broad sketches to arrange an outline. 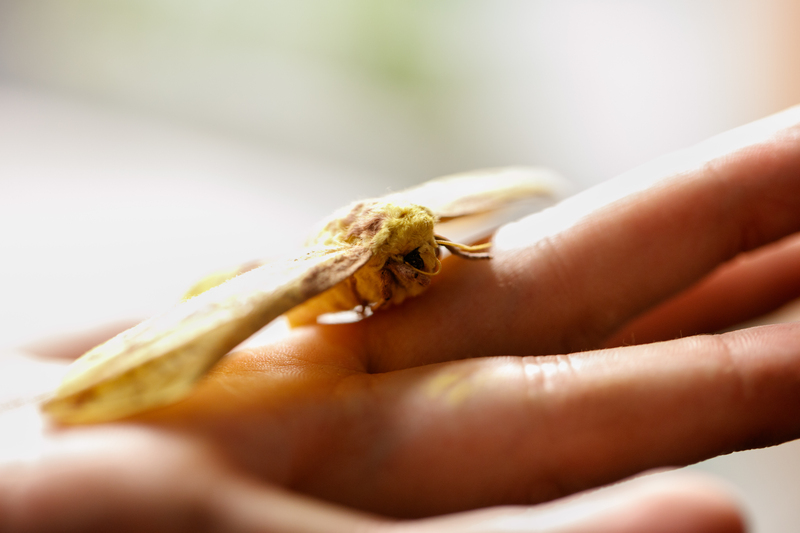 He believes butterfly wings are designed with a similar process. 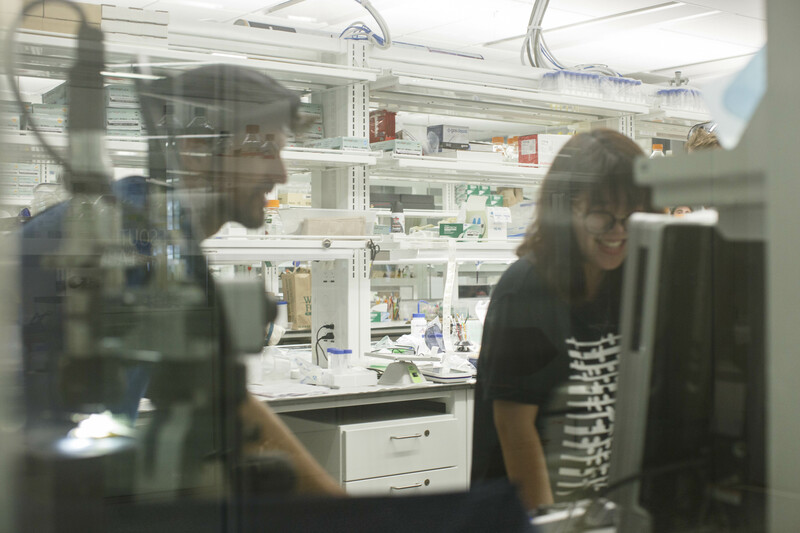 These broad strokes are modified over time, changing the way genes are expressed and creating new shapes. This is where color pattern biodiversity comes from, he said. The research process has been full of surprises, Dr. Martin said. CRISPR technology has opened the door for discoveries that would have been impossible just a few years ago. In the future, Dr. Martin hopes to use CRISPR for genome editing, a more surgical version of genetic modification where scientists can cut and insert DNA.This process would allow the researcher to add patterns to the wing and change its size in a controlled way to test specific hypotheses about genetic mechanisms that create shapes. Dr. Martin led the study “Macroevolutionary shifts of WntA function potentiate butterfly wing-pattern diversity,” which published Monday in the journal Proceedings of the National Academy of Sciences. 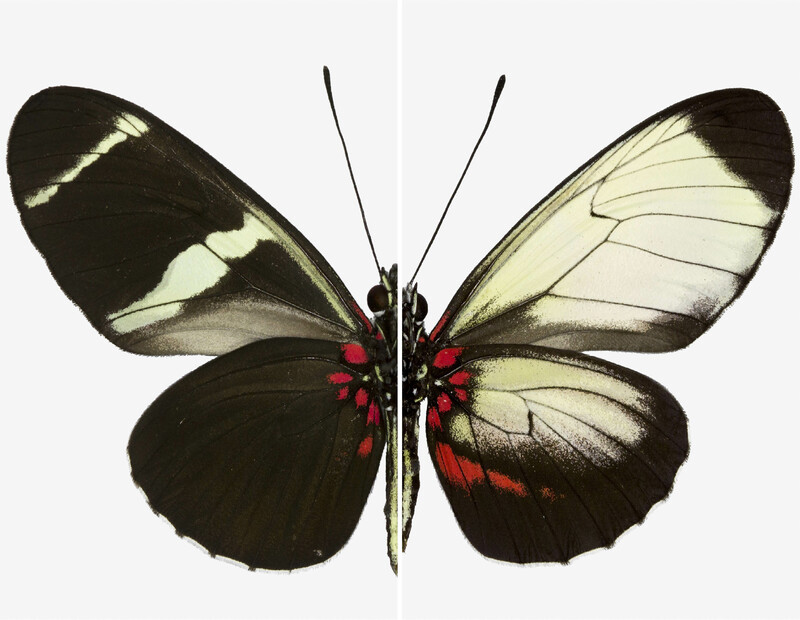 The left side of this Sara longwing butterfly represents show how a typical butterfly's wing looks. The right side shows the effects of CRISPR. 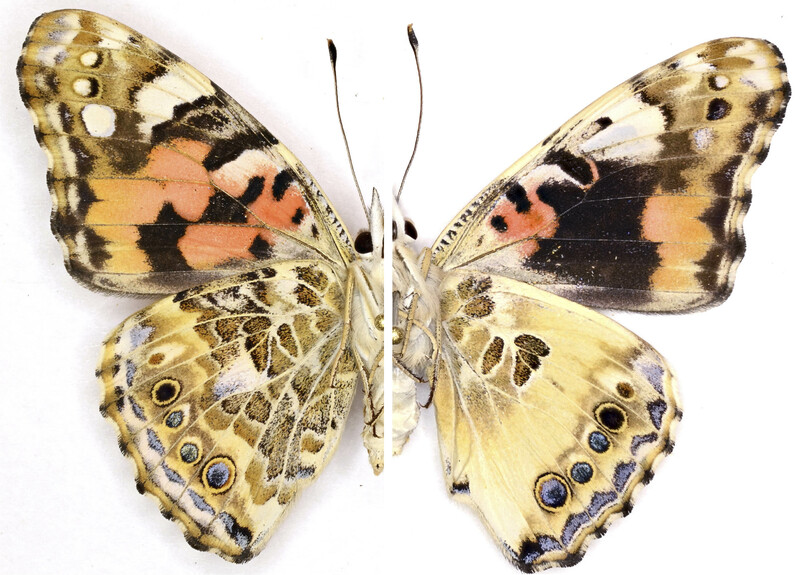 The left side of this Painted Lady butterfly shows a typical specimen's wing. The right side shows the effects of CRISPR. 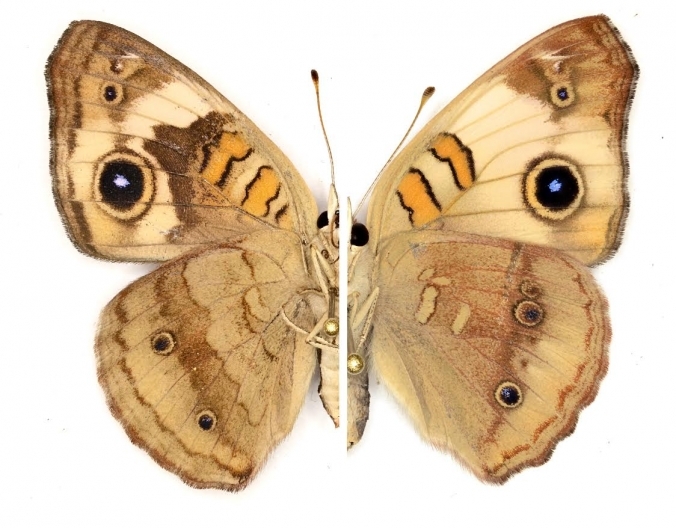 The left side of this Junonia butterfly shows a typical specimen's wing. The right side shows the effects of CRISPR. The left side of this Speckled wood butterfly shows a typical specimen's wing. The right side shows the effects of CRISPR.